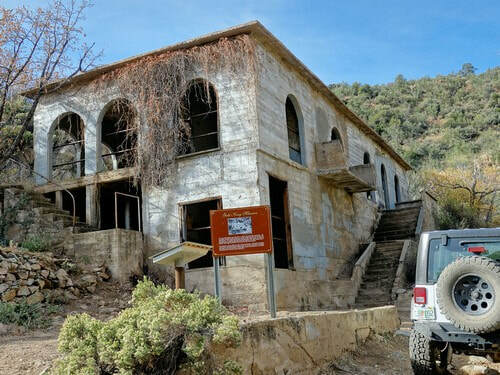 Boulder fields, washouts and the Gold King Mansion are highlights of this somewhat challenging trail on the east side of the Hualapai Mountains. 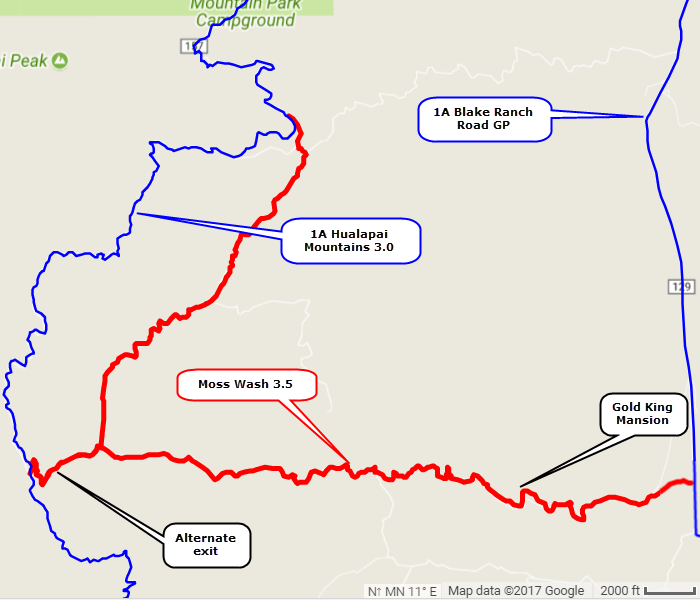 This is a fun trail to drive with the major challenges happening in the first part of the run. 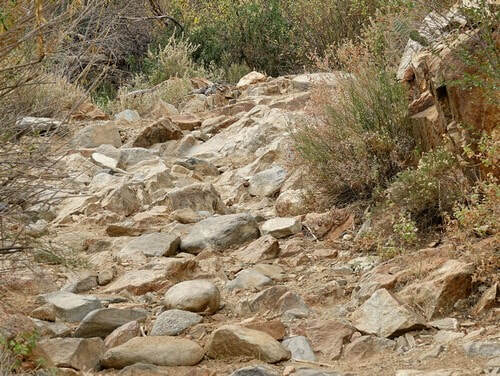 There are a few small boulder fields that cause us to rate the trail as a weak 3.5. 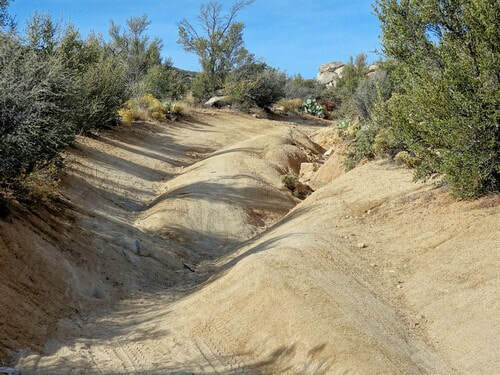 The trail starts out with a few spots where erosion runs both down and across the road. Articulation is a big help here. 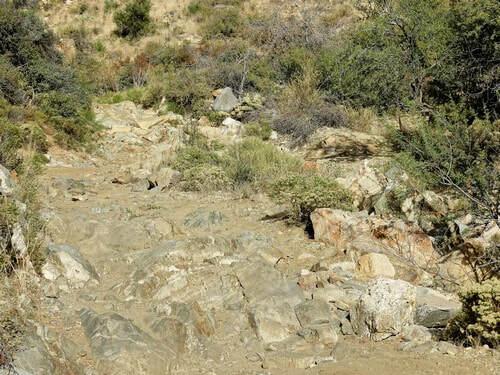 There are some rocky areas leading up to the mansion. 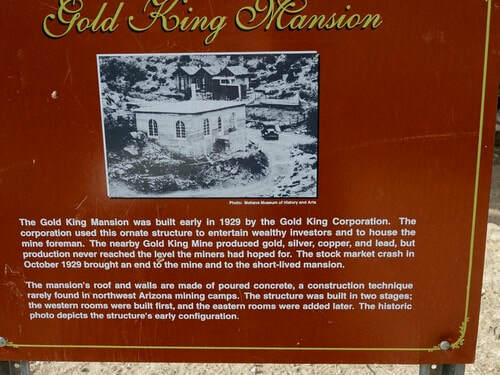 Gold King Mansion was built and closed in 1929. 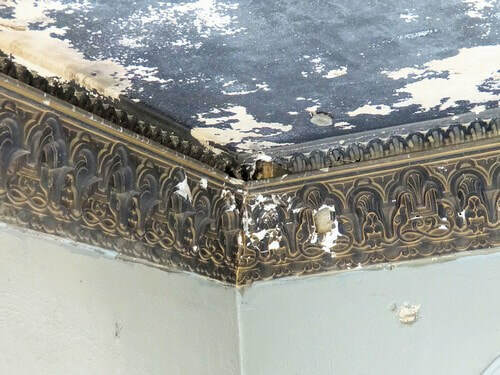 The ornate trim in the fireplace room suggests it must have been quite a place in its day. 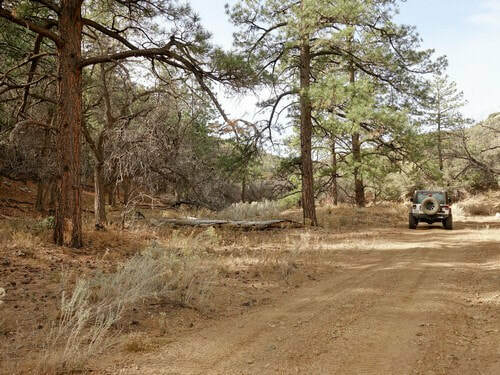 The next mile or so beyond the mansion contains several boulder fields and is the most difficult stretch of the trail. There are a couple extra credits available in this portion. 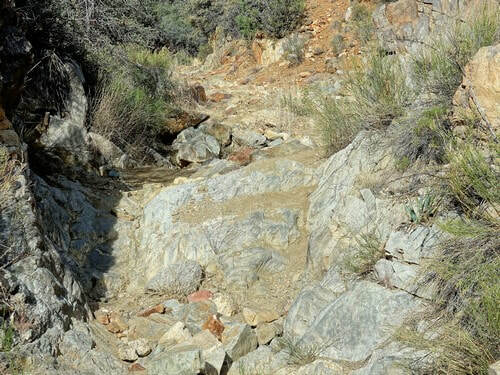 The rest of the trail is easier after you climb out of the narrow canyon part of Moss Wash. Climb over a high spot with nice views than drop down into Moss Wash again and zip along through the pines. 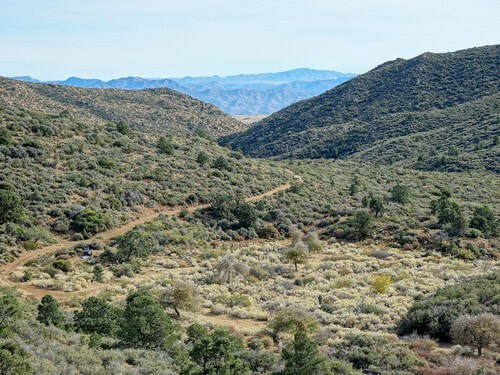 Drive up Moss Wash a bit and you will see that this track has a spur to the left that connects to Hualapai Mountains 3.0 trail. 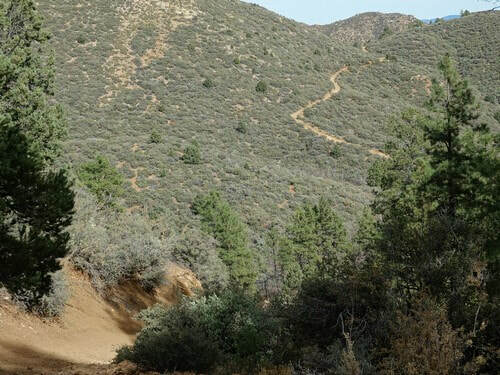 This is an alternate exit that will give you a taste of that trail without doing it the full length. 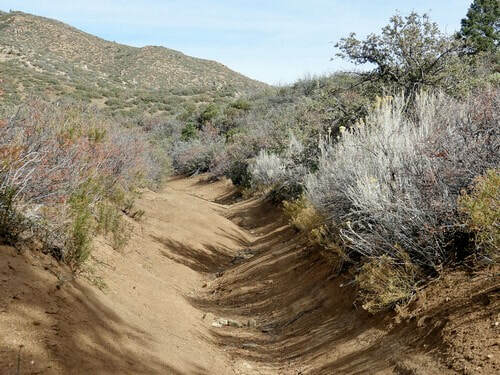 If you do not do the alternate exit you will find a short stretch of erosion down the center of the road, then a relatively easy trail most of the way out. 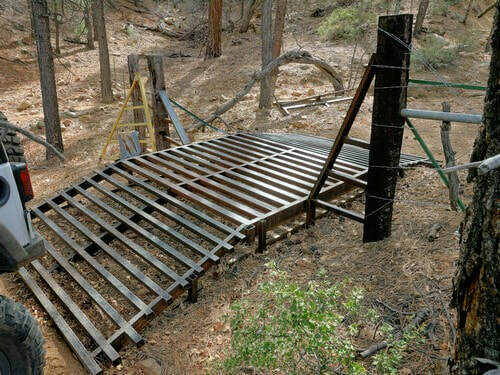 This has to be the fanciest cattle guard we have ever seen. The last few miles are a pleasant ride through the trees, down one hill and up another. 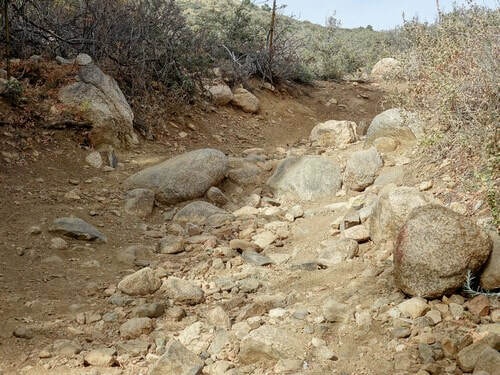 There is one final set of boulders within sight of an improved road.